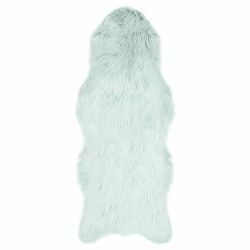 Discover Affordable Luxury Area Rugs Runners Pads! THD is delighted to introduce a beautiful collection of Area Rugs, Runners, and Pads. We believe our area rugs runners pads are just lovely. And they display a beautiful medley of colors. Beside hues in a modern patchwork design. You’ll find also traditional old world floral designs. Or a more contemporary geometric backdrop. Either way, they will look beautiful in any room of your home. You may like to know, that our home décor pieces are woven and crafted for strength and durability. And all with highest quality yarn and weaving technology in 100 % polypropylene fibers. Welcome a degree of excellence at affordable rates and this is how we define an outstanding value. Once you browsed the THD area rugs runners pads collection. You should notice the beauty and suppleness of a traditional pile. 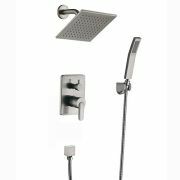 Paired with practical sizes, durable quality, and full of color. Whether you want to spruce up or complement your décor. Or simply enhance your floor in the foyer. 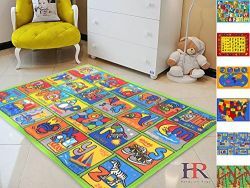 We supply Area Rugs, Runners, and Pads to decorate. Find the perfect solutions for your back living room, dining room, and kitchen. As well as for area in front of a fireplace. And as you probably guessed. We have something for your hallways and bedrooms as well. 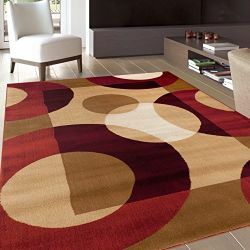 You’ll love our most attractive prices on all area rugs. And the infinite decorating possibilities. With an available array of various sizes, colors, and patterns. We make decorating floors easy and enjoyable. And with Our “Robo-Vacuum, the regular maintenance guaranteed a long-lasting quality. And the durability of this fine fabric. Find breathtaking selections that are confirmed to impress your family and friends. 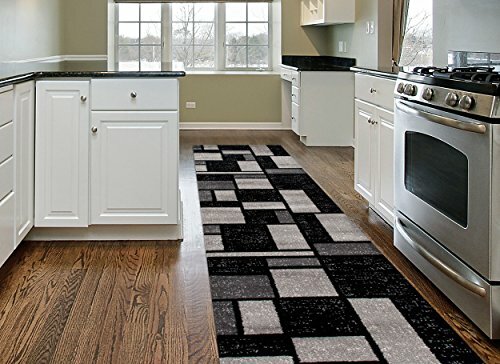 Some of our Area Rugs Runners Pads feature a bold and attractive pattern. And those patterns can transform any room choose. While others come in neutral earthy tones. And some are enhanced by a floral pattern. You will be able to find subtle geometric touches. And a distressed finish. We stock various design styles. And some of our area rugs runners & pads ship the same day. And enhance any of your chosen space in your home … No matter where. 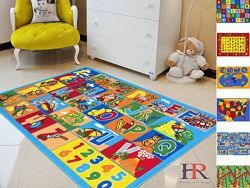 Handcraft Rugs-Kids Rugs Educational-Play Time Non-Slip Letters and Numbers Puzzle / Kids Carpet Play mat Rug Kids Baby Children Educational-3 ft. by 5 ft.